View cart “Roadhouse / Hideaway Grill Beer Wraps” has been added to your cart. 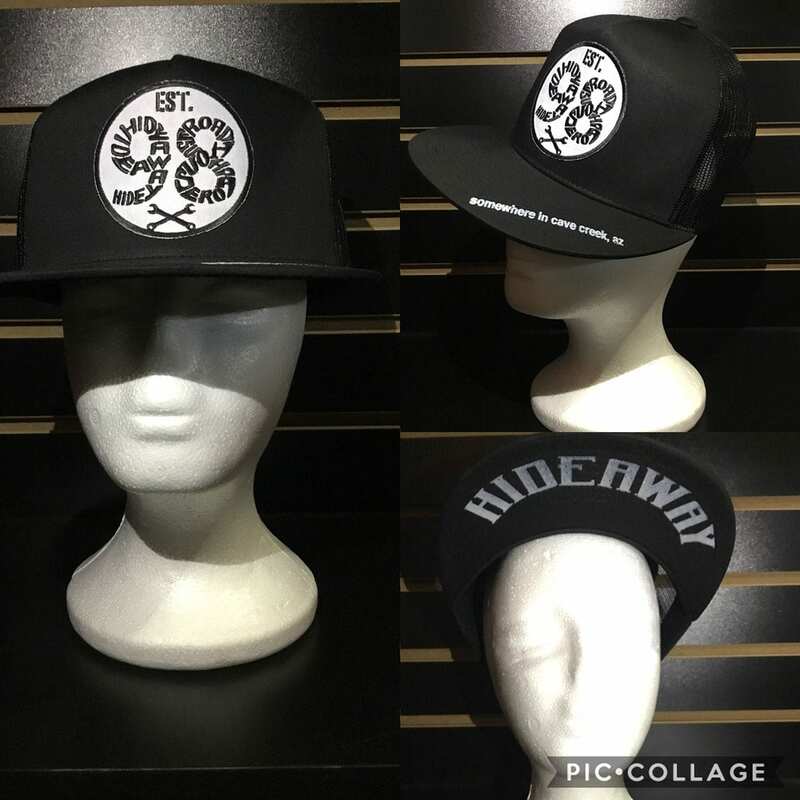 Roadhouse/Hideaway 98 Logo Baseball Cap. Snap back. One size fits all. The Hideaway Grill / Roadhouse: Baseball Cap. 98 logo on front. Hideaway embroidered under rim. 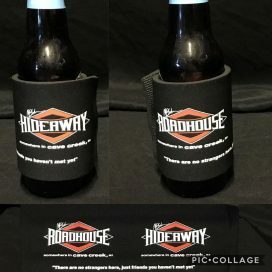 Hideaway Grill and Roadhouse Beer Wraps Koozie labeled with diamond logos. Water Bottle. 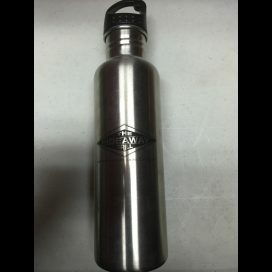 Water bottle displaying the Hideaway Grill diamond logo. 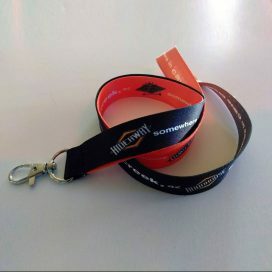 Roadhouse / Hideaway Lanyard. Colors: black and orange. 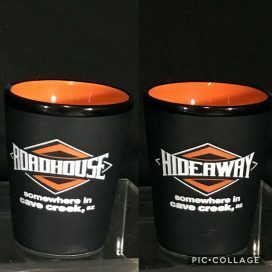 Roadhouse/Hideaway Shot Glass. Color of shot glass: black.